When trying to heal gastrointestinal issues, we can easily get derailed by all the different kinds of diet, cleanses or the latest and greatest fad. Personally, I like to keep things simple by getting back to the basics. Those basics include: lymphatic drainage massage, moving your lymph daily, moving your colon daily, eating mostly alkaline forming food, proper food combining, hydration and eating foods your body can metabolize, digest, absorb, assimilate and eliminate properly. In my professional opinion, ensuring our lymphatic system is draining properly is key to good health. Unlike the blood which has the heart to pump it, our lymphatic system depends on us to move it daily. To jump start our efforts, Iyasu’s bio electric lymphatic drainage is a wonderful and relaxing way to get the ball rolling. Afterward, we encourage our clients to rebound on a mini-trampoline as this is excellent cellular exercise! Deep breathing and yoga moves lymph as well. As you can see, there are many things we can do to self-heal. In my opinion, any healing efforts must start with cleaning the colon and moving the lymphatic system. Iyasu offers Bio Electric Lymphatic Drainage with the INSPIRATION equipment followed by manual lymphatic drainage. Most of our clients are now combining the lymphatic drainage with the colonic and are noticing the puffiness and bloating in their bodies have significantly decreased. They also notice that the lymphatic drainage massage just prior to the colonic actually helps their body to release more. If you need to ensure your lymphatic system is draining and you need some extra help, why not try Transformation L-Drain? It is a supplement that seems to be reducing puffiness in many of our clients. Be sure to ask when you visit next time. What goes in, must come out. Imagine what would happeninside your home if you added food to your garbage can and only threw out a little at a time. Over time, the food that never left the garbage can (or your home) would rot and putrefy; bacteria and gas would develop and it would not smell very nice in your house. It would also attract bugs and disease. Many people believe that since they have regular bowel movements, they don’t need to clean their colon. Those who do, however, are always surprised at the amount of waste that is released during a session even though they are quite regular. “Where does it all come from?” is a question I am asked often. That is the great mystery of the body. Colon hydrotherapy is important for regular movers and even more so for those experiencing constipation and other digestive disorders and dysfunctions. Regularly emptying the trash completely can keep your internal environment clean and healthy, providing you with a (potentially) happier and more energetic…YOU! Sometimes we need some help breaking down our food and assisting our digestive system. Many of our clients report that the Transformation Digest (digestive enzyme) not only breaks their food down, but in doing so it is helping their bowels to move..and this is after many years of constipation! They also report less gas and bloat. Whether you are experiencing gas and bloating or constipation, eating smaller meals throughout the day can ease the burden on the digestive system. It can also help to keep your blood sugar balanced throughout the day, reducing the afternoon sluggishness. Working a healthy eating plan into your daily routine can make all the difference in the world, digestively speaking. A typical day could start with a couple glasses of water upon waking. Then breakfast can be eggs and spinach or a green smoothie. About 10am you can have a piece of fruit or veggie. Lunch could be protein and veggies. A 3 pm snack could be hummus or guacamole with veggies and dinner can be a starch and veggies. Having a glass of water every hour can ensure you stay hydrated and keep you feeling full throughout the day. Years ago I read the book “Fit for Life” by Harvey Diamond. This book introduced the idea of proper food combining: Eat fruit alone; eat protein and veggies; eat starch and veggies but never protein and starch. Different foods digest at different rates so when combining foods that don’t digest at similar rates, one of the food types can rot and putrefy in the body, creating gas and bloat (very similar to my trash analogy above). There are many free food combining charts on the internet so I won’t include it here but I encourage you to take the time to study and follow proper food combining. When looking at foods, it is important to know whether they are alkaline or acid FORMING in your body. A lemon is acidic in nature but alkaline forming in the body. This is important to know because stress causes our bodies to become very acidic. Certain conditions such as Candidiasis or parasites thrive in acidic internal environments. Eating a diet that is alkaline forming can help to counter the acid. Depending on our blood type, certain foods can create an inflammatory immune response from our body so aside from avoiding these foods, Iyasu has a couple supplements that our clients say have been helpful in dealing with inflammation, both from stress and diet. 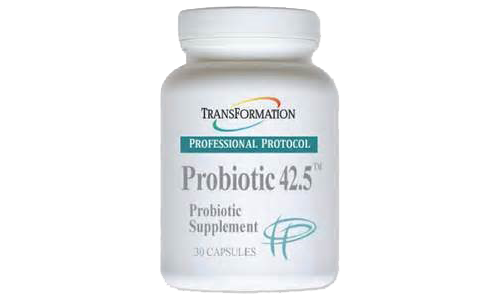 We offer Transformation Protease IFC and Probiotic 42.5 to clean up the blood and bring the gut bacteria back in balance. The type of food we eat does make a difference when considering the current state of our digestive system. Ideally, we would eat foods that do not create an inflammatory response from the body. When looking at any illness or dysfunction, there is almost always inflammation. When I attended Transformation Enzyme Corp’s workshop on enzymes, we were given anti-inflammatory food lists. Simply put, these are foods that generally do not cause inflammation in the body. Since I am a proponent of eating for your blood type, I modified the lists for each blood type. Be sure to ask for your copy when you come in for your next session. A few clients who are doing Iyasu’s anti-inflammatory health program have reported to have lost weight and gained energy. Let me know if you want more information on this potentially life changing program! Moving our colon requires us to move our bodies…and deep breathe. Would it surprise you to know that whenever a client deep breathes during their colonic, they release about 90-95% of the time? It would stand to reason then that regular deep breathing during your daily life can increase bowel movements. Yoga and other exercises that require deep breathing move our bowels by stimulating the lymphatic system and in turn, the circulatory system. Plus, exercise and deep breathing are great stress management activities and anything that reduces stress has a positive effect on our colon. Hydration is one of the most important things we can do for good digestive health. All our eliminative organs and filters need water to work properly. Some of our clients keep 3 liters of water at their desk and ensure it is gone before they leave for home. Others start with 2 glasses of water upon rising and drink 1 glass every hour on the hour. Still others add a bit of juice to encourage them to drink more water throughout the day. Whatever method works best for you, the goal is ½ your body weight in ounces per day. Did you know that caffeine is very dehydrating to the body? If you drink caffeinated drinks, don’t forget to replace with water, ounce for ounce, to help counter the dehydrating effects to our body. Great digestive health is potentially only a few simple steps away. The therapists at Iyasu are committed to teaching each of our clients ways to gain and maintain good health through basic self-healing. Call today to schedule your appointment with Stephanie or Bre!